I bought this one from the school fair. It's still on a yoghurt cup but it flowered - a stunningly bright orange one at that. This one's at the office. 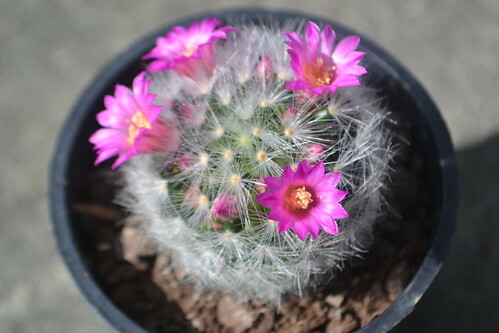 It bloomed a lot when we were out on holiday and when I came back, it had already finished. But lo and behold, it decided to do a second batch, just for me! 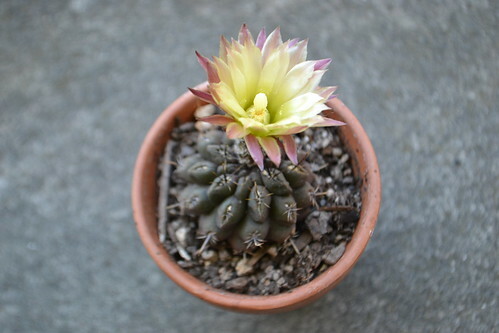 Another one of my cacti in a small ceramic pot. 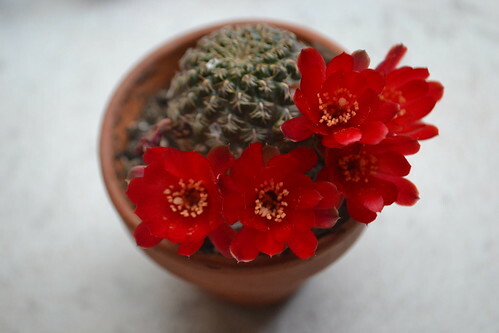 Dark red flowers! 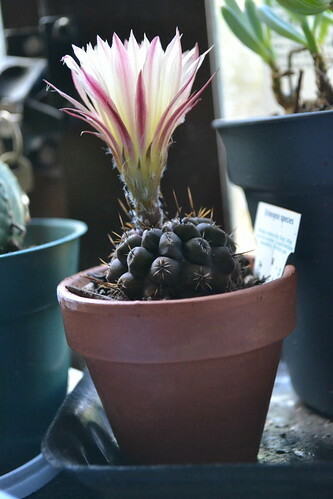 I have since moved this to a bigger pot. 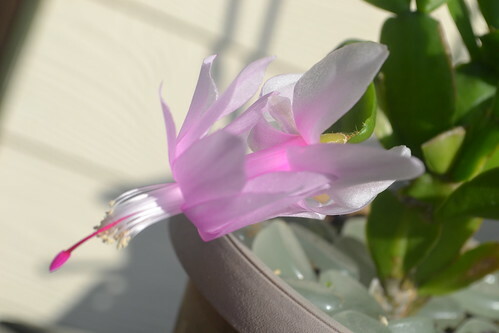 Christmas cactus! 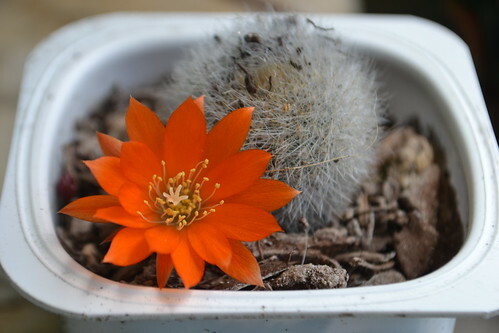 They say this one is rather difficult to encourage to flower so I am pleased with the couple of flowers it had. 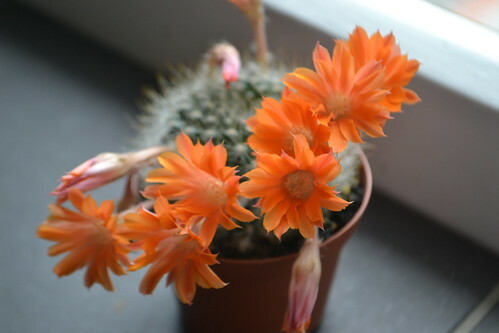 A Mamillaria specimen, popular for having a ring of flowers around the plant. 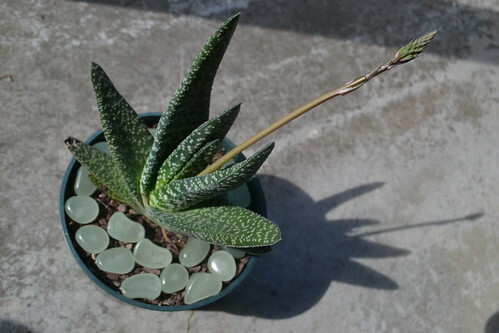 This is one of the bigger specimens in my collection - an aloe variety. 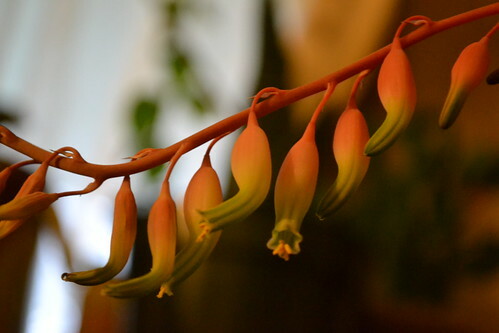 It has a unique flower bunch - close up below. 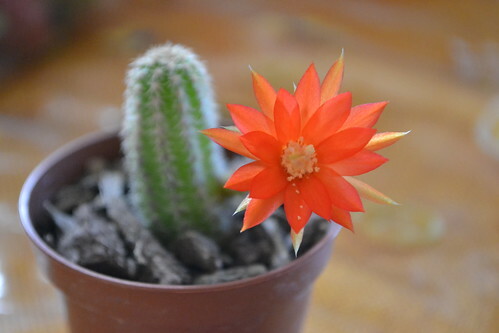 I've had a couple of other succulents flower this past week; I'll take photos of those too and share it. 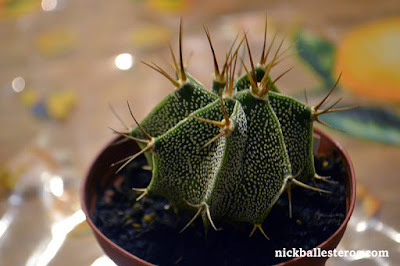 Cacti and succulents are such a cool plant to collect and take care of. It's a rewarding hobby - perfect for busy people, as they require little care, and occasionally you get pleasant surprises!